Special thanks to reader Mark L. for this week's polarizing topic. If you’ve ever spent time navigating in the outdoors or sitting in an elementary school science class, you understand that the Earth is a gigantic magnet. If you’re the curious type who digs into these things a little deeper, you probably know that that is a wonderful thing. Besides being able to find your way home with a compass if you ever get lost, the magnetism of the Earth creates a protective bubble that blocks harsh solar particles from reaching the Earth and bathing us in radiation. As agreeable as this state of affairs is, there is something you should know about the planet you are in a long-term relationship with… It’s unstable. Avid outdoorspeople are all aware of something called magnetic declination: the difference between true north and magnetic north. As it happens, your compass points to the Earth’s magnetic north pole and your map is oriented towards “true north” – the point around which the planet spins – and those are not the same thing. In fact, the magnetic pole tends to wander. On average, it moves in loops of around 80 kilometers (50 miles) per day and the annual average of those daily points moves around 41 kilometers (25 miles) per year. 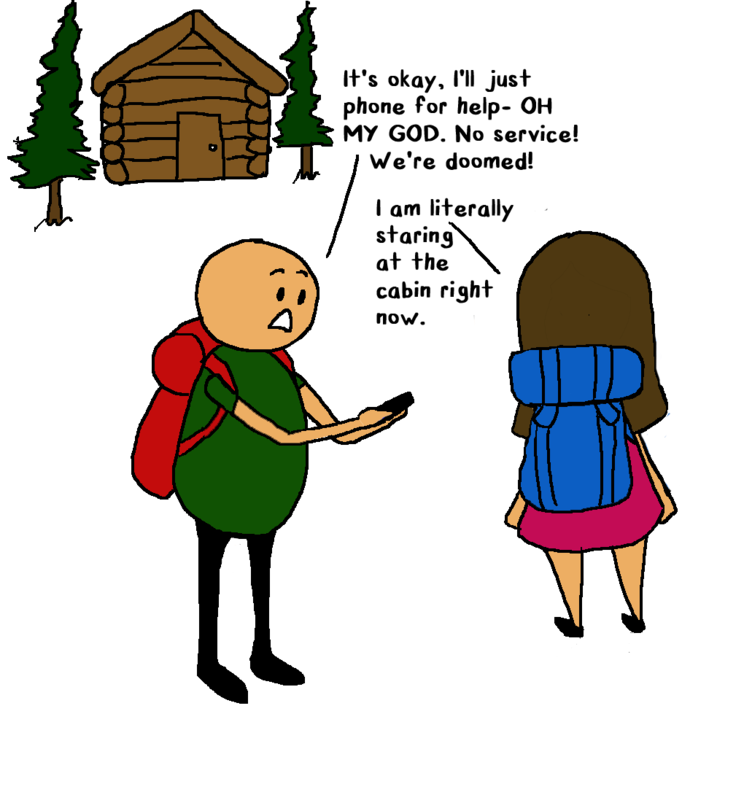 That might pose a slight inconvenience for hikers and sailors who have to keep up with revised estimates of what exactly they are walking or drifting towards, but it is generally something we can deal with. The real problems happen when our planet moves from mildly unpredictable shifts to outright mood swings. 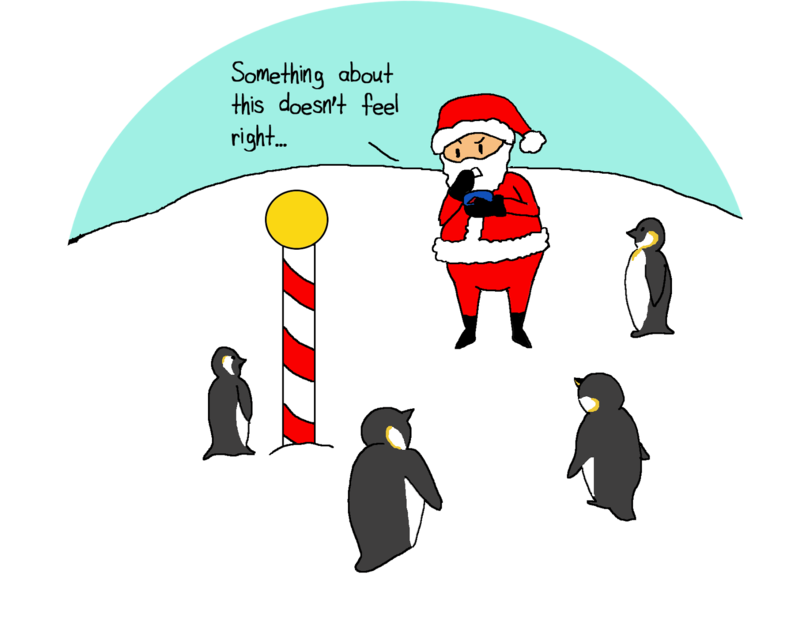 When those happen, the north pole and south pole can actually switch places. 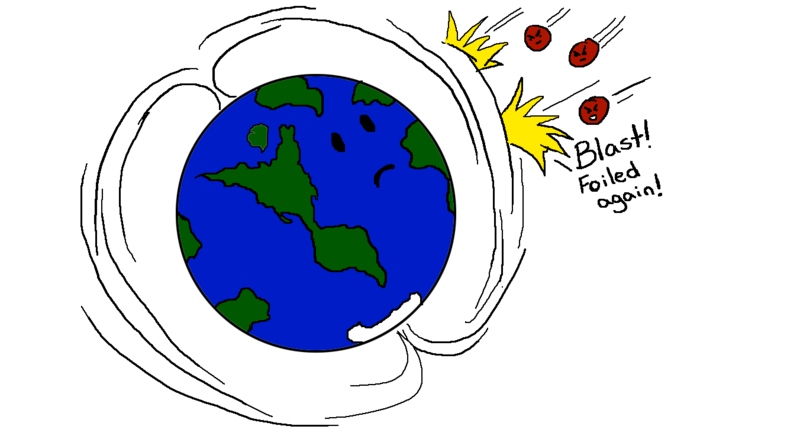 The Earth’s magnetism is caused by the movement of molten iron in the planet’s core. Way down beneath you, wherever you are reading this, is a solid iron ball at the centre of the globe. Around that is another, larger ball of liquid iron. The inner part of that outer core is hotter than the outer part and the difference in temperature causes iron to drift up and down and create currents (hot iron rises, cold iron falls). When those currents speed up, the magnetic field around the Earth gets stronger. When they slow down, the field gets weaker. 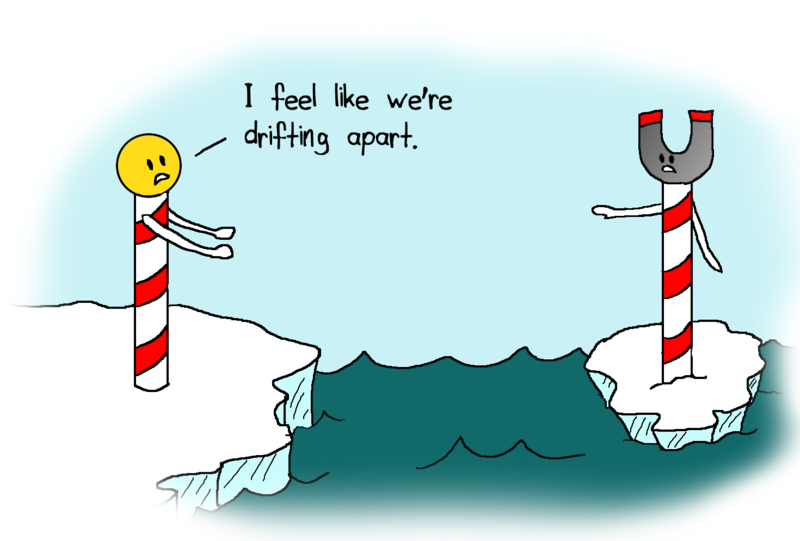 When the field gets too weak the north and south pole flip back and forth until things stabilize. In the distant past, this was a pretty rare event… but still probably more frequent than you would guess. Between 1.5 and 2.9 billion years ago a flip happened once every 5 million years or so. 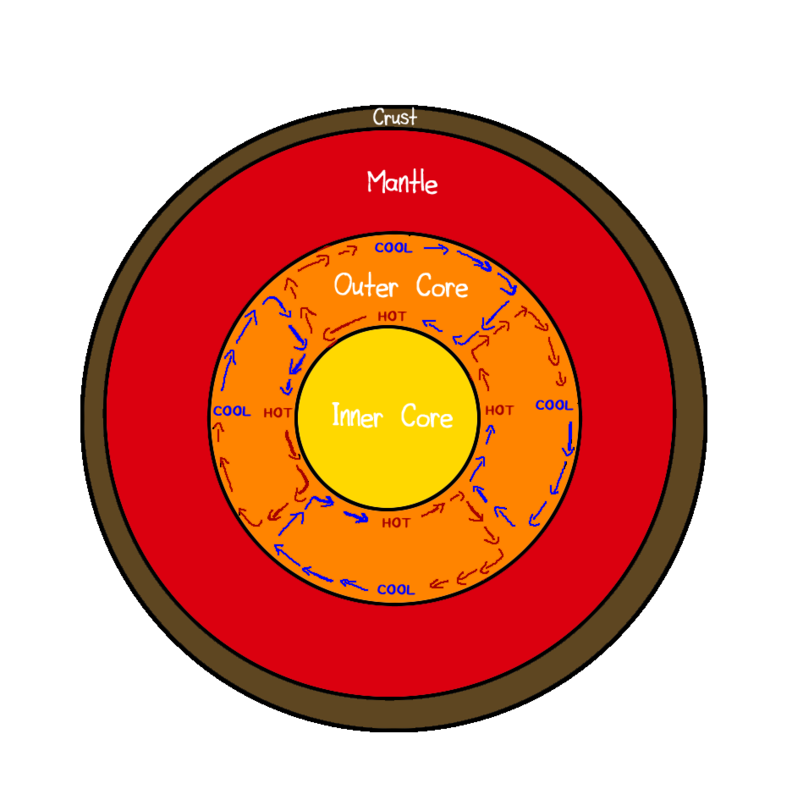 Since then, the outer core has cooled and the inner core has grown. The result is less stability and now the poles flip, on average, once every 200,000 years. The last switch was 780,000 ago however, so we are very much due. So will the poles switch in our lifetime? Surprisingly, the answer is “Yeah, maybe.” These things are hard to predict with any degree of certainty but over the past 150 years the strength of the magnetic field has been weakening by about 5 per cent per decade whereas before that it weakened by about 5 per cent per century. That could mean that one day in the not too distance future, your compass will be useless. What does that mean for life on Earth? Overall, probably not much. As I mentioned, the poles have flipped and flopped literally thousands of times in Earth’s history. We know this because the magnetic elements in very old rocks show patterns of alignment that only make sense if the poles were in different places. No big animal or plant die offs correspond with these changes, so we will probably be okay. The major risks are increased solar radiation, raising your risk of skin cancer (sunscreen up!) and communications being wiped out or messed up. It turns out our cell phones and the internet depend on the protection the Earth's magnet field provides. 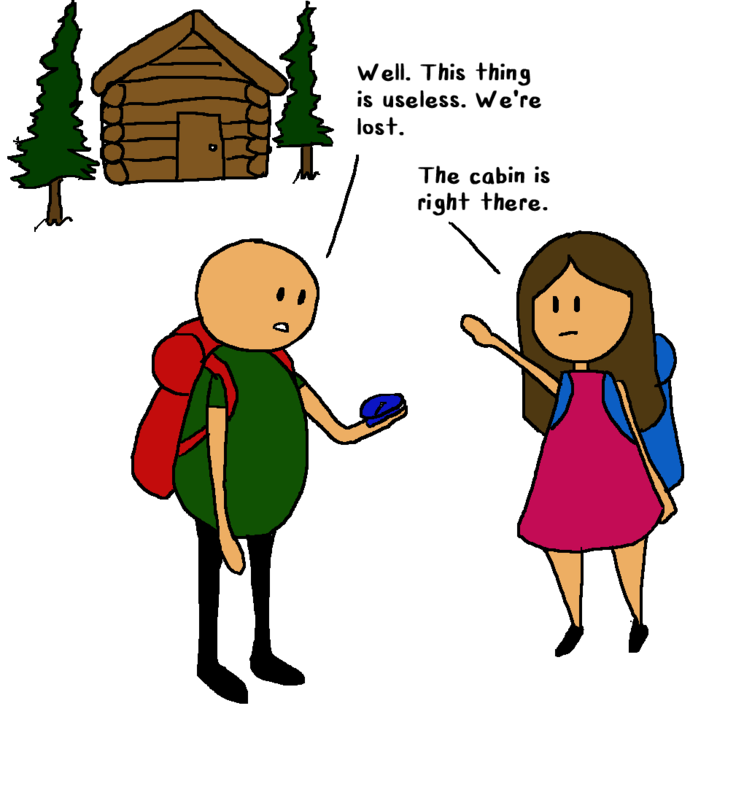 The irony of the whole situation is if our communications collapse and society crumbles (rather than just reverting back to 1800’s levels), we won’t be able to use compasses to guide our wandering nomadic tribes… I guess it’s time we all buy a star atlas and start studying. See you on The Road, everybody!